This is the premier issue of HOT CARS magazine. This magazine is dedicated to all the “Gear Heads” out there who enjoy all forms of motorsports. 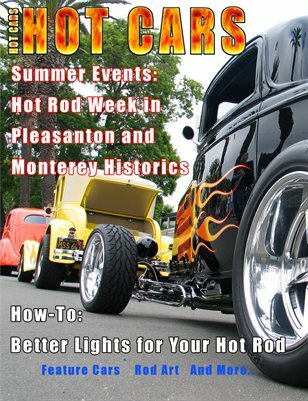 Whether you enjoy watching Trans Am cars fly through the ‘corkscrew’ at Laguna Seca, or cruising Virginia Street during Hot August Nights, Hot Cars is the magazine for you. In future issues we hope to cover the whole spectrum of Hot Cars.